Here are five burning questions that remain after the summer of Test cricket. RUNS were hard to come by, hundreds even more so, wickets toiled harder than anticipated and hoped for, but, at last, the sun has finally set on Australia's summer of Test cricket. How ironic, too, that in the summer that Australia desperately needed Mitchell Starc and Usman Khawaja to fire with master blasters Steve Smith and David Warner sitting on the sidelines, the left-handed duo - with their Ashes spots on the line - finally came alive on the final two days of the home nation's most barren dry spell. Against a Sri Lankan side, a skerrick of the past side littered with greats it may have been, but they all get tallied up the same in the books, it will show an unbeaten century for Khawaja and a 10-wicket haul for Australia's under-siege fast bowler Starc. And for a side that now prides itself on rewarding form, and one looking for consistency and continuity in a revolving door team primed for the returns of Steve Smith and David Warner, they are stats which aren't likely to be glossed over. So how will Australia's Test season be remembered and has the national team's reputation as the second office of the land been restored after the embarrassing events of Sandpapergate in Cape Town 10 months ago? Here are five burning questions that remain after the Test summer. HAS THE NATIONAL CRICKET TEAM WON BACK AUSTRALIA'S TRUST? As we were reminded no less than two months ago when Smith popped up on our TV screens again, cricket for the national team was about winning in years gone by. "I remember James Sutherland and Pat Howard coming into the rooms there and saying 'we don't pay you to play, we pay you to win'," recalled Smith in December, about Australia's crushing loss against South Africa almost three years earlier in Hobart. 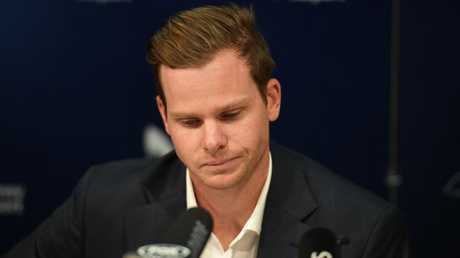 "For me that was a little bit disappointing …"
Steve Smith speaks at a press conference in March. Photo: Brendan Esposito/AAP Image. But the line between needing to win and cheating to achieve that goal was broken when a hastily-organised plot was carried out at Newlands by bringing sandpaper onto the field. Just as unsavoury, an even more impulsive lie was created in the aftermath which tarnished the entire reputation of the side with the same brush and led to the resignations of the chief powers above and unprecedented suspensions of Smith, Warner and Cameron Bancroft. In the weeks and months to come, Australia's new order - led by Tim Paine as captain and Justin Langer as coach - promised to win back the trust of the public. Ten months on, Paine and Langer have gone a long way in healing the wounds established and restoring credibility. The results may have been less than hoped for - Australia lost their maiden home series to India at home - but the humility shown in defeat was the tonic required for a badly wounded national side. Even in the midst of defeat, with Australia's supremacy on the field sapped, Paine found humour in the most downcast of times. In Sydney, with the series gone, the Australian captain broke from the norm, picking up a journalist's phone in the middle of a press conference to tell an editor in Asia that "Norm" was busy, but he would pass on the message to check his emails. It was just a line, but it was handled with aplomb. Other captains or coaches in similar circumstances could easily have been left seething by a phone interruption. Not Paine. At almost every opportunity, Australia's cricketers - led by Paine and Langer - were at a pains to express their congratulations to their opponents for their skilled played on the field, and their thanks for the public to turning out. Ferocious sledging, for the best part, made way for amusing banter, with Paine and Rishabh Pant engaging in an interesting battle of mind games, which led to the latter and the former's wife adding perfectly to the on-field heat of the battle through a simple Instagram post which showed the lighter side of the cricketers. Tim Paine and the Australian team pose with the Warne-Muralitharan Trophy. Photo: Mark Kolbe/Getty Images. Interesting, too, that at the end of the summer, after Australia had crushed Sri Lanka, Paine finished his on-field ceremonial interview in Canberra with one final statement once it appeared over. "Can I just, whilst I'm here, I just want to say thanks to Chandi Dinesh (Sri Lankan captain Dinesh Chandimal) for coming out. We realise how hard it is to come overseas and play Test cricket, so thanks for coming and the competition," he said. "I want to thank our support staff. As you said, it's been a long summer, they've worked their absolute backsides off trying to help us get better so thank you very much. "I also want to thank Cricket Australia's sponsors. The last 12 months has been a really difficult time, so thanks for sticking with us. "And also, to our fans, we started out this summer trying to win back your respect and trying to make you guys proud of us, so thanks for sticking with us and, I suppose, we're looking forward to the next 12 months of cricket." With those final words, a warm applause echoed across Manuka Oval. DO SMITH AND WARNER COME STRAIGHT BACK IN TO THE TEST SIDE? Paine has alluded to the banned duo returning immediately once their bans end on March 28. Undoubtedly the Australian cricket team is stronger for having them in. You can't take away the 12,000 plus Test runs the duo have scored between them. The duo would likely slot into any Test team around the world. Still, despite being out for a year, they sit No.4 and No.6 on the ICC Test batting rankings in the world. But there are a number of questions to still be answered. Steve Smith and David Warner celebrate after winning the Ashes. Photo: Ryan Pierse/Getty Images. Can they come back and pick up where they left off? Will they be able to handle the pressure of a boisterous England crowd and the Barmy Army? If they can, what about the rest of the team? Will they all be able to handle the likely intense media pack that follows them right throughout the campaign? And what of the culture of the side, how will their returns be received? The returns of Smith and Warner aren't as simple as just seamlessly taking their spots in the batting line-up. Their returns bring with them a year's worth of baggage too. One or two failures by them and the team, still trying to forge a new culture, could descend into darkness. And Australia thought this summer, with India firmly on top, was long. Try being away from home, in a hostile environment for four months, with the pressure of defending a World Cup and Ashes Urn at stake, where trust in each other and themselves is paramount. It promises to be another pressure filled and gripping 2019 for Australian cricket. HOW DOES THE SUMMER RATE FOR THE AUSSIES? In a world where sport is notoriously judged on winning and losing alone, Australia's cricketers can't escape the blunt fact that they lost. They will go down as Australia's first team to lose on home soil to India. In the end, Australia's summer finished with three wins, two losses and one draw. But their two final wins, against a severely undermanned Sri Lankan side, must be taken with a grain of salt. The tourists were as poor as they have been. Had Australia lost, and at times early in both Tests it appeared that could very well happen, it could very well have spelled the end for some of the team. In the end, the final Test eased some of the pressure for Australia's most experienced and probably muddied the waters for others like Marnus Labuschagne and Marcus Harris, who failed to build on earlier promise. 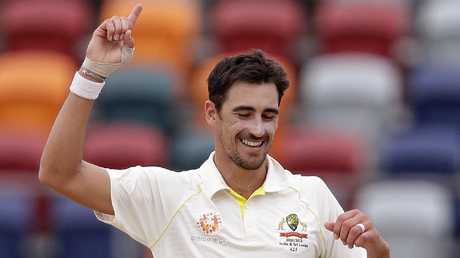 Australia's Mitchell Starc celebrates his 10th wicket against Sri Lanka. Photo: Rick Rycroft/AP Photo. While Australia was comprehensively beaten by India 2-1, a result that would have been emphatic had rain not intervened and stemmed the tourists charge towards victory in the fourth drawn Test, the home side proved worthy competitors. Paine's men fell agonisingly short in the first Test, losing by 31 runs. The third Test defeat at the MCG was more definite, as they went down by 137 runs. 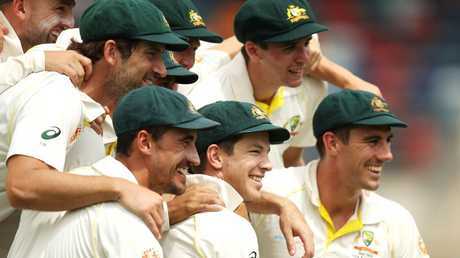 But in both lost Tests, particularly in Adelaide, Australia was on top in stages of the match. 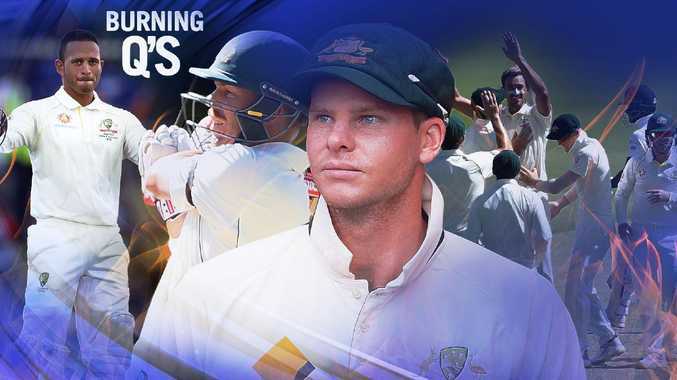 Indeed, on the first morning of the Test, Australia was in the clear ascendancy having India 5-86. Even as the tourists crawled their way to manage 250 in their first innings, that total in red ball Tests over the years was well below average. 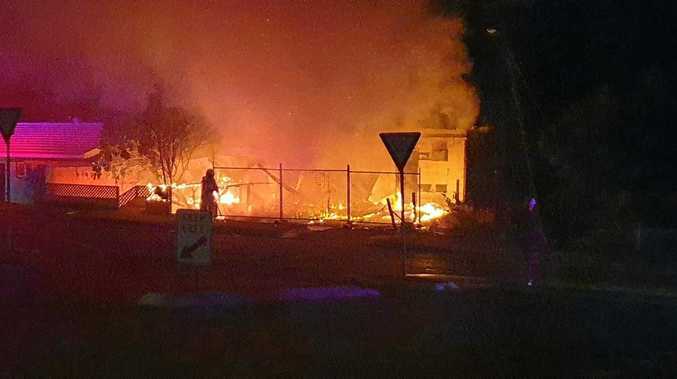 In the end, Australia's fragility with the bat came home to roost. It was the story of the summer. The bowlers may have struggled by their own lofty standards, but it was the failure of no Australian batsman scoring a century which saw the home side crash to a series defeat. IS AUSTRALIAN CRICKET IN A BETTER POSITION GOING FORWARD AFTER THE SUMMER THAT WAS? It's a cliche in sport, but every coach and player says that you learn more from your losses than your victories. Winning can often mask flaws. There was no masking anything this summer. Australia's batsmen were not up to it. Plain and simple. Australia's shot selection was poor, their ability to bat for long periods of time was shown up and the selection process appeared flawed at times. The bowlers, too, failed to run through India's batsmen, in particular Cheteshwar Pujara who batted and batted and batted. Where India's bowlers out thought Australia's batsmen out and got the ball to swing, too, Starc and Hazlewood struggled to get the Kookaburra to move. Questions have been asked why. The roof has been lifted off Australian cricket. A forensic approach has since been applied. Australia was also likely to struggle without their two premier batsmen. Indeed, most international teams would if they also lost their best. Depth has been the winner. Australia's young batsmen may have struggled against India's bowling attack, but opportunities have been given. It took Steve Waugh 27 Tests to notch his first century. History shows what he did after that point. Langer and Paine are now closer to knowing who has it and who does not as they approach the Ashes. HAS THE SUMMER PREPARED AUSTRALIA FOR THE ASHES? Not since 2001 has Australia gone to England and returned with the Ashes. In 2005, Australia had one of their greatest sides ever yet still lost the series. The series loss came after Australia had swept Pakistan aside at home with a 3-0 series win, as well as a 2-0 win in New Zealand. In 2009, Australia defeated the Proteas in South Africa before going on to lose in England. While, in their most recent series defeat in England four years ago, Australia came off a two-series win in the West Indies and had earlier smashed India at home, too. So just how helpful a series can be to prepare Australia in the lead up to an Ashes series in England is likely insignificant. 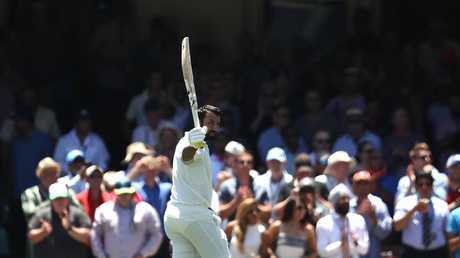 India’s Cheteshwar Pujara raises his bat as he leaves the ground after being dismissed for 193 runs against Australia. Photo: Ryan Pierse/Getty Images. But what the series against India did was expose Australia's inability to bat against the moving ball, which will likely be the case in England in at least three of the Tests where the grounds of Edgbaston, Headingley and Old Trafford notoriously favour swing bowling. Will the two-Test series against Sri Lanka come back to bite Australia, too? Joe Burns scored a giant century in the first innings of the second Test, but missed out in his two other digs. Khawaja, too, made a timely unbeaten century after a summer of doom. Will those runs help their selection case, when they perhaps should be working their way back through Sheffield Shield cricket? Middle-order batsman Travis Head and Labuschagne, up at the Gabba, made compelling batting cases against a weak Sri Lanka side. Will those runs do Australia more harm than good? But Test runs are Test runs, and should the century by Head in Canberra and the important runs made by Labuschagne in Brisbane be the trigger to give them the necessary confidence to succeed in the five-day game time will tell.